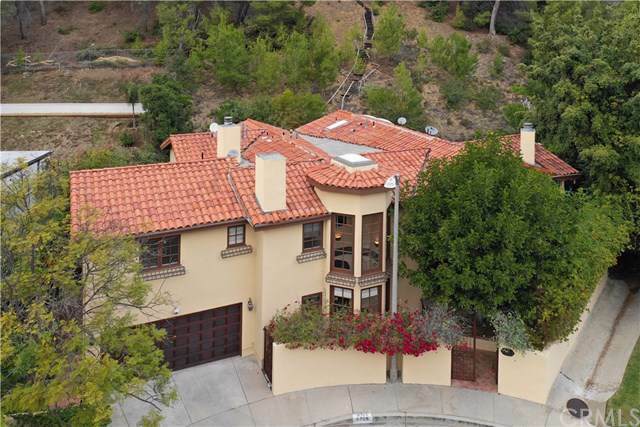 9705 Blantyre Drive, Beverly Hills, CA 90210 (#300659696) :: Ascent Real Estate, Inc.
Best value, beautiful home in prime BHPO with tremendous mountain view. Nestled at the end of quiet cul-de-sac. 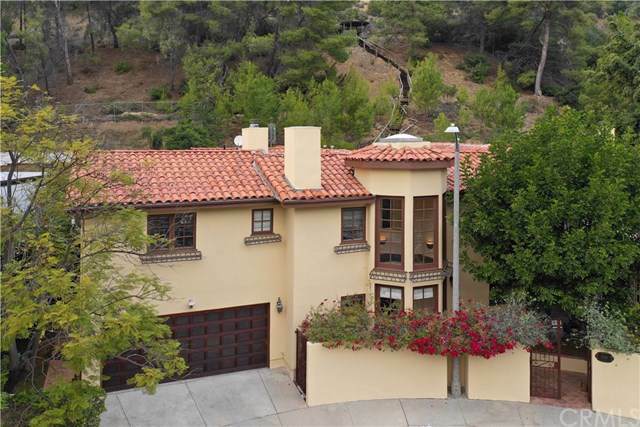 This stunning Spanish style home features 5 suites, 6.5 baths, with 4488 sqft of living space on a 63993 square foot lot. Walled and gated, with a two story foyer entry, formal living room and dining room. The Gourmet kitchen has stainless steel appliances and is open to Family room. The French doors lead out to a large grassy yard and tiled patio. Full pool bath with shower next to family room Best value, beautiful home in prime BHPO with tremendous mountain view. Nestled at the end of quiet cul-de-sac. This stunning Spanish style home features 5 suites, 6.5 baths, with 4488 sqft of living space on a 63993 square foot lot. 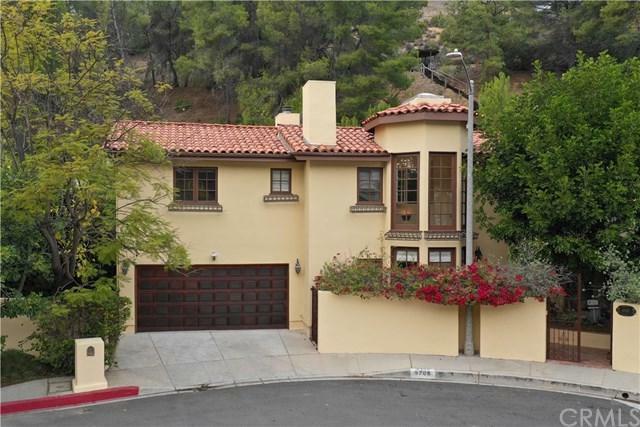 Walled and gated, with a two story foyer entry, formal living room and dining room. The Gourmet kitchen has stainless steel appliances and is open to Family room. 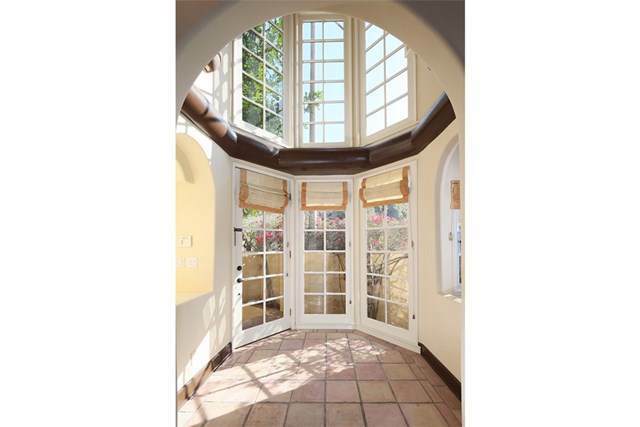 The French doors lead out to a large grassy yard and tiled patio. Full pool bath with shower next to family room provides convenience. There is a 1 bedroom suite downstairs and 4 bedroom suites upstairs. The grand master suite features fully remodeled master bathroom, enormous tub, steam shower, his/her walk-in closets, fireplace, total tiled balcony with French doors & views of treetops + mountains. Adjoining office/library room with build-in shelves. 3 additional bedrooms all with their own baths and walk in closet. Private backyard offers a tranquil resort like settings with a built-in BBQ, Gorgeous pool, spa and hilltop gazebo. Come visit and make it your dream home.